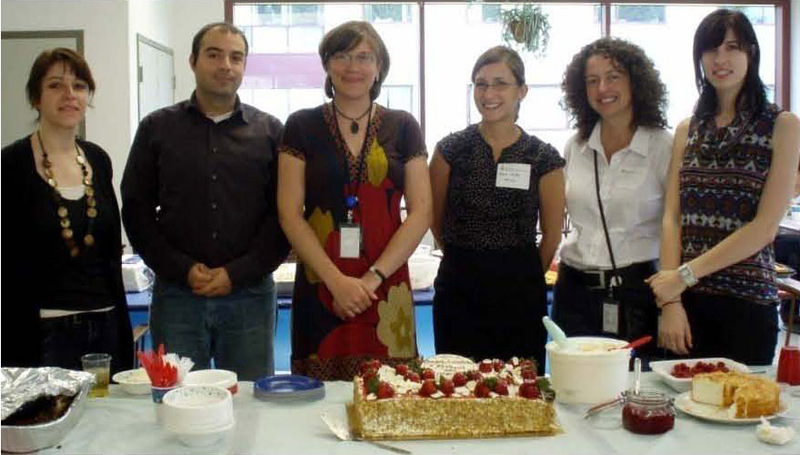 Every year the conservation and conservation science programs throughout the Smithsonian host many fellows and interns. Whether these fellows and interns are at the Smithsonian for a few weeks or a few years, they significantly increase research and conservation treatment productivity. For the second year, the Smithsonian Conservation community has sponsored a one-day symposium held at the Smithsonian’s Museum Conservation Institute where fellows and advanced interns in Conservation and Conservation Science present their research topics and preliminary results. Smithsonian Secretary Wayne Clough opened the conference with a warm welcome to the fellows and interns. Nine of the fellows and interns, representing four of the Smithsonian’s units, presented their research results on topics ranging from materials analyses of paintings at the Hirshhorn and glass beads on costumes at the National Museum of African Art, fabrication and provenance studies of pre-Columbian Gold excavated by the Smithsonian Tropical Research Institute and colonial ceramics at the National Museum of Natural History (NMNH), to the ethnographic use of dog hair in Salish blankets at the National Museum of the American Indian and NMNH and historic use of synthetic dyes including indigo in textiles. The annual conference brings together the far-flung professional conservators and conservation scientists of the Smithsonian. 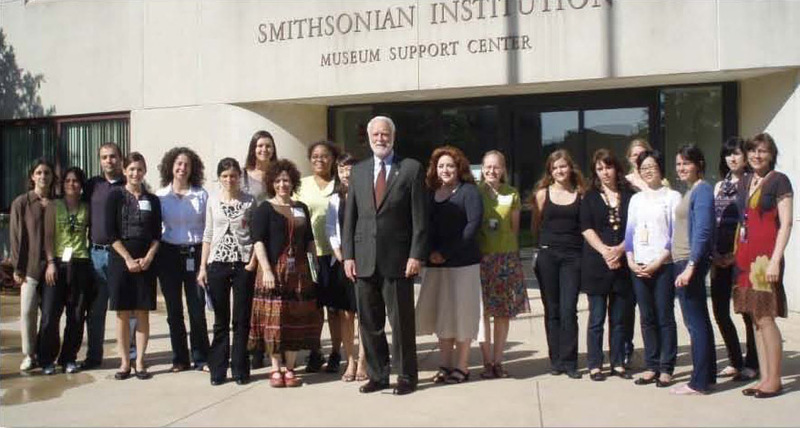 This group of 76 full-time staff members is spread across 16 museums, units, or research institutes, located in Maryland, New York, and the District of Columbia. Professional conservators preserve cultural heritage through examination, documentation, treatment and preventive care; conservation scientists apply specialized scientific knowledge and technical skills to understand cultural heritage and its material properties and interpret scientific data to inform conservation and preservation. The conference is important to the Smithsonian’s conservation community to keep them informed of research advances and enhance their professional development.